A reason why the blogging community is one of the best is because of the love and loyalty that is shared around. I am so happy to be a part of it and it’s little things like being nominated for this award which can give you the motivation to keep going and showing your blog off to the world. 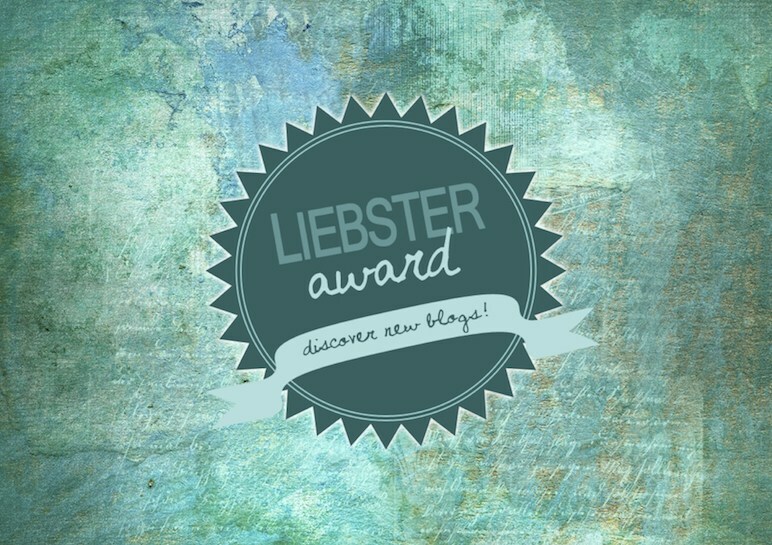 Thank you to Lucy from Skinny Vanilla for nominating me (you can read her post on this here). It is a great way for bloggers to discover my blog and vice versa. It is lovely to see the amount of support we give one another every day and this is one of the many ways we do. So what are the rules to this nomination? I lived in Taiwan from 7 years of age to 11. I currently live in Shanghai (only for 2.5 more months). My knee dislocates all the time. It actually dislocated at Angkor Wat when I was alone and had about a miles walk back to my tuk tuk driver. Photography is a huge passion of mine. My Nikon D7100 is like my baby. I adopted a Donkey until I was about 14, his name was Daniel P and lived at Sidmouth Donkey Sanctuary. I have an obsession with pickled onion monster munch, yes they give you very smelly breath. I could probably recite the entire Friends series set…I’ve watched it the whole way through about 10 times, maybe more. I have a ridiculous amount of dresses and will continue to buy more. I’ve recently found out I’m lactose intolerant, and I LIVE on dairy…great. I once missed a flight and I was sat right in front of the gate when they called the flight number. I turn 21 in August. YAY PARTY TIME! I tend to crash out on the sofa and watch a film, or go for a walk. I love country walks when I am home, occasionally accompanied by my Nan’s dog Charlie. It’s either Bali or Taiwan, both very different but beautiful countries. Bali because of the stunning culture shown through the architecture, the panoramic views from the many cliffs, and the people are so welcoming and funny, and I’ve had some of the best memories there. Taiwan because it was my home for half of my childhood and it is a vibrant country full with so much beauty. What has been one of your most memorable experiences to date? I have always struggles to answer this and when I properly think about it, I can’t answer. I have had so many amazing memorable experiences which I will treasure for the rest of my life. From spending days with rescued elephants in Laos to staying in the heart of Yosemite National Park…it’s impossible to pick just one. When are you most happy and why? When I am surrounded by my family and friends. A particular relationship I made with someone at university. The bravery and courage I have when I am travelling to just go and do anything, to make friends and to make the most out of where I am. Also, how spontaneous I can be occasionally. My family; I wouldn’t be where I am without them and their constant support. Pocky! Look it up if you don’t know what it is, they’re so yummy!! So I could write about what I love and share advice, experiences and thoughts with everyone. What era do you wish you were born in? 70’s? 80’s? And why? I’m happy to have been born in the 90’s. I wouldn’t have met all my friends otherwise, and they are fabulous people! If you were given a roundtrip ticket to any country tomorrow, where would you go and why? How do you motivate yourself to achieve your goals in life? What 3 things would you save in a fire? If you were given a million pounds and you had to spend it in the next 24 hours, what would you spend it on? "How I Gain More Followers on Social Media"
"What I Always Take on a Flight"
This blog is great. Living in Shanghai must be amazing. I lived in China last year for 2 months on a southern place called Zhuhai. I found the culture enchanting. I would love to hear more about your time in Shanghai! Please send me blogs about it if you have time. Well done and great facts! I love finding out more about bloggers in these sort of posts. I bet living in Shanghai is AMAZING!